We have four dogs at our house so we try to save by doing our own grooming. I love Shed Ninja’s double sided comb. It has two different size combs on one comb. You can do the small close together comb for thinner hair that you need to deshed. You can use the larger more spread out comb for dogs with thicker hair that might need wider teeth combs to get through their hair. 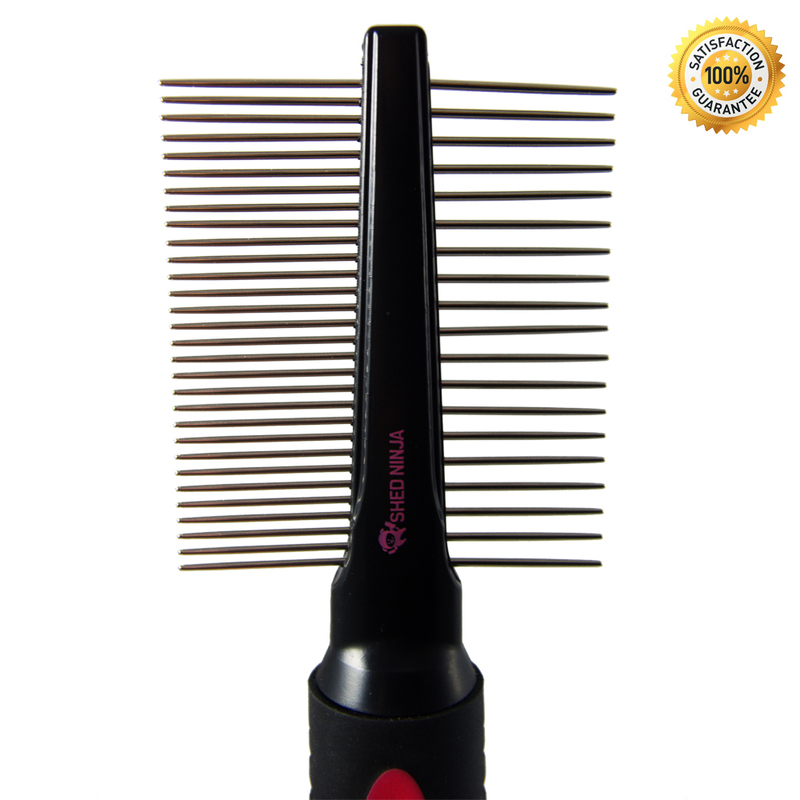 We use this comb on our dogs all the time and it works great. I can easily flip it from side to side depending on what I need and it works great. The teeth on the comb are metal and well made, no problems with them bending or breaking. The handle is easy to grip and hold, comfortable even if you are using it for awhile. Love it! COMFORTABLE CONTROL AND LESS FATIGUE due to Shed Ninja’s Comfort Grip Handle. YOUR SATISFACTION GUARANTEED with our 100% Money-Back Guarantee. See details below. You can purchase this comb on Amazon!